Hiya guys... *yawn* it's a sleepy and manicured day here. Very cloudy weather in Jersey today makes me want to curl up in bed with some hot tea. But then there is a little something called a day job. As always there is nail polish to make the whole day worth while. Yesterday was a massive nail mail day so I went from being slightly ahead of schedule to 'oh crap'. At least I'll have plenty to keep my busy during the weekend, which is when I knock out most of my nail art. For today I want to share with you another stamping plate from Born Pretty Store. I knew right away when I saw this plate that it would look amazing. Let's take a better look at the plate itself. 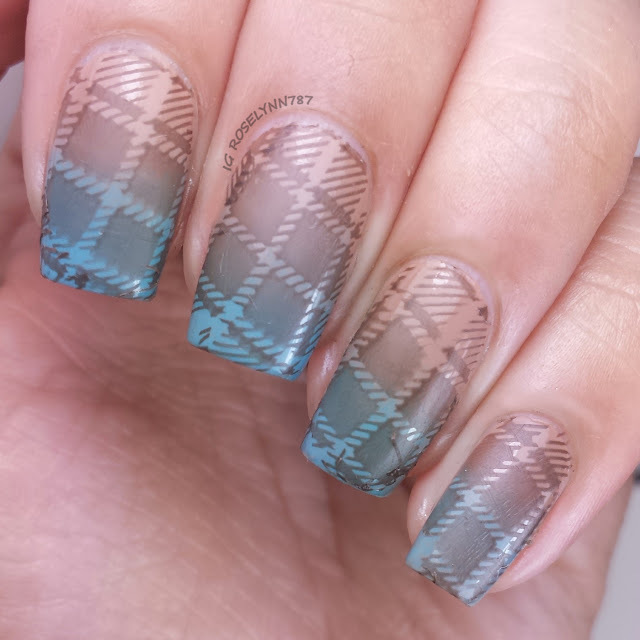 I have been a fan of plaid patterns since my youngster high school days but could never get the pattern just right on my nails. Remember guys I tend to fail more often than I succeed with my line work. Because of that, this plate is straight out of heaven for me. For this mani, I used only one of the plaid pattern types and used Emilia by Zoya to stamp over my gradient base. I didn't even add a matte topcoat, but doesn't it look like it? 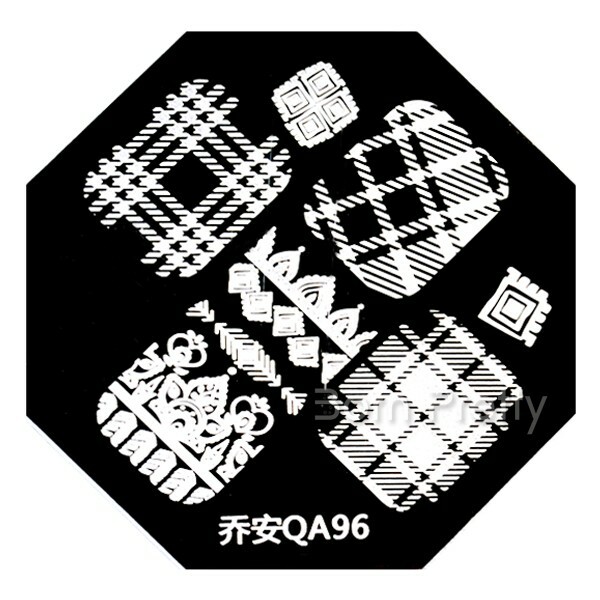 The stamping plate is sold individual on the Born Pretty Store and it's plate # QA96. This particular plate is item 15611 in their store and retails for $2.99 each. I love how these are all plaid based, but at the same time can easily be told apart from each other. Just as I did the last time, I wanted to show you guys how these looked on some paper. 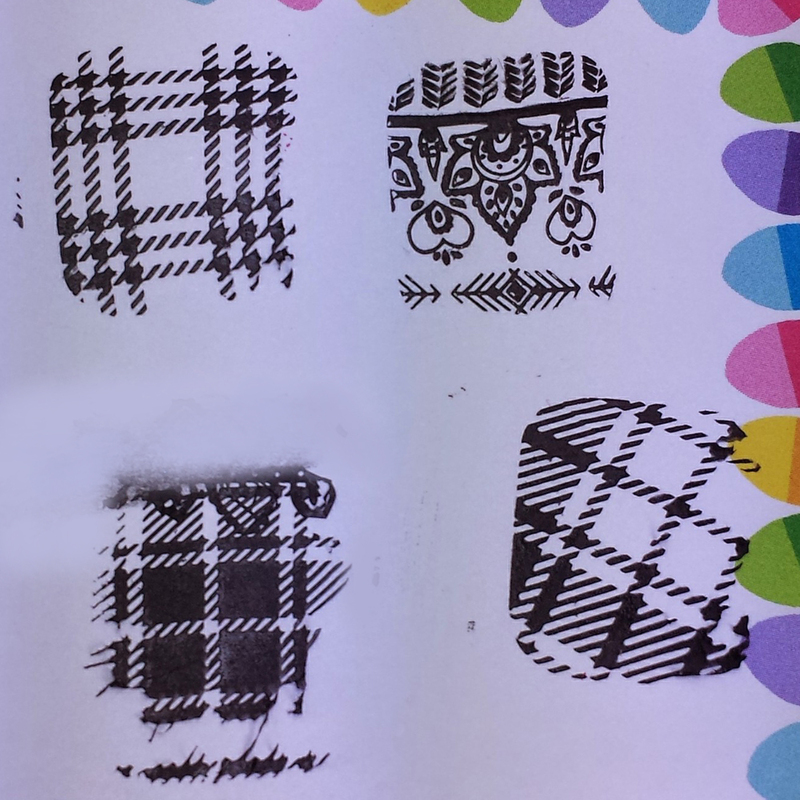 I used black stamping polish to show the patterns, however, as you can see some did smear. This is entirely my fault... let's just say there was a spilled polish bottle involved and leave it at that haha. But the images from this plate pick up easily and nicely for the most part. I find the pattern right in the middle of the plate to be a little strange and difficult to get a clean transfer. The main plaid ones work perfectly and, as I said before, give you nice variation. Born Pretty Store has a wide variety of stamping plates to choose from. I've reviewed another set in the past and that was plate QA79 if you're interested. If you use my code ROHG10 you'll receive 10% off your purchase and as always free shipping. Shipping will take 3-6 weeks, I cannot stress this enough. Personally, I'm completely used to shipping taking at least a month for overseas items because the deals are always worth it. It's just something to keep in mind before ordering. Thank you! Yeah I wish I could but my cool comes out like dork haha.